Introducing the amazing Finnegan! 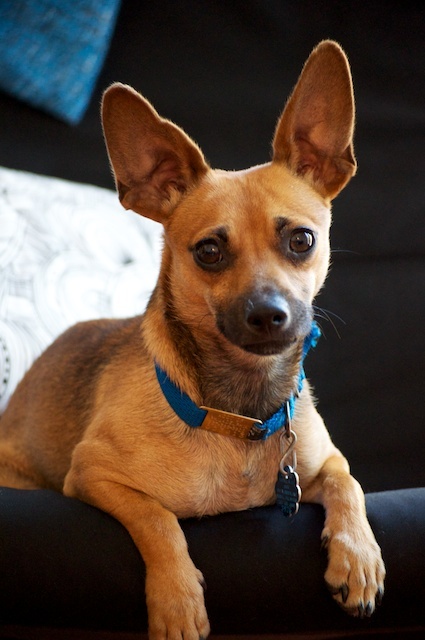 The spicy, young chihuahua with a TON of personality who enjoys living each day to the fullest! Finn was found as a stray before coming into the shelter and while he was fairly nervous at first, he has opened up quite a lot here in foster to become a bouncy ball of joy. This guy has a lot of energy…he loves the game of chase and tug, plays appropriately with dogs and humans alike, and takes correction well. He adores romping around with his foster dog siblings and will play ‘tag’ with them at every chance he gets. 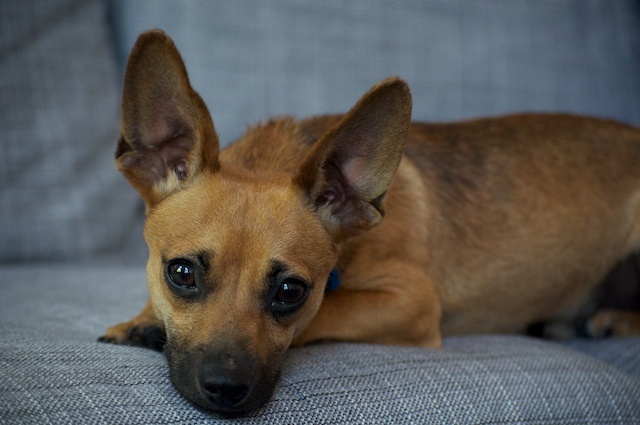 He would do best in a home with another social, vivacious dog who can match his puppy like energy! While Finnegan is very outgoing with his people, he can still be a timid guy at times. New people may occasionally make him nervous, but with proper introductions he loosens up quickly and will be on their lap giving out kisses like he’s known them forever. He is very sweet and gentle and will follow his foster folks around the house just to be close to them and check out what they’re up to. Once Finn is worn out from all his walks, wrestles, and tug games he turns into the best lap dog ever. He’d be perfectly content to chill out and watch some tv with you or simply snooze by your feet as you do work on the computer (or watch you cook, dance, workout, clean, etc.). Finnegan is working on house training and basic obedience and should continue with learning in his new home. He is a smart dude and very willing to please, so he makes an excellent student! He adores being on the receiving end of belly rubs and general affection, but is never overly pushy in his quest for love. He’s a very loving little dog who will cheer you up when the world has got you down…staring at you with his sweet eyes, gently nudging you with his wet nose…you’ll forget all your worries in no time. Young children tend to make him nervous, so Finn would do best in a home with kids at least 8+ who will understand to be gentle with him. Finnegan is a very happy boy who is a blast to be around, he’ll keep you on your toes and laughing the entire time. He’d make a great addition to an active & adventurous family who shares the same zest for life as he does! Check out Finnegan’s page for recent posts, news, and video! « Spunky Boy, Monty Burns, Gets His Wish!